It has been written that Womack Fowler was named after a Revolutionary War officer, a Colonel Wymac, who lived near Danville Virginia. The Colonel offered hospitality to Lieutenant Henry Ellis Fowler and the wife and children of Captain Charles Sims as they made their way from Union District in South Carolina to the safety of Virginia. In gratitude, as the story goes, Henry Ellis Fowler named his firstborn son after his Virginia host. I do not know where this story originated. It is a nice story, to be sure, but I feel fairly certain that it is not entirely true. I do not doubt that there was a Colonel Wymac in Virginia, nor do I doubt that this kind man opened his home to Henry Ellis Fowler and the Sims family. I do know from my research that Womack was not the first son of Henry Ellis Fowler. He was, in fact, not even the second son. I also know that it is very possible and most likely that Womack was named after his mother Catherine Puckett’s grandfather, Womack Puckett, son of William Puckett and Anne Womack. It would be a nice twist of fate if Colonel Wymac who gave shelter to Henry Ellis Fowler and his weary charges had been a relative of the Womack family from which Henry Ellis Fowler’s wife Catherine Puckett descended. Regardless of the way Womack Fowler received his name, there are many other events in his life that are documented and proven. This article is a journey through the life of Womack and those who came after him. He left a legacy in his many children and their children that still lives on in his descendants who walk the earth today. Womack Fowler was the son of Henry Ellis Fowler and Catherine Puckett. He was born on January 3, 1785 in Virginia and died in Union County, SC on August 2, 1849. He married Susannah Moseley, daughter of James “High Key” Moseley and Nancy Anna Jasper, on February 7, 1808. He served in the War of 1812, and it is from his pension application of this war that we are able to discover the marriage date, death dates of both Womack and Susannah, and some of the years they were residents of Union County. Womack Fowler and wife Susannah had two daughters in the two years following their marriage. The family is found in the 1810 Union County Census: Womack age 16-25, one female 16-25 (Susannah), and 2 females < 10 (daughters Martha Patsy and Tempa). The Womack Fowler family shares the census page with several other Fowler families as well as James Moseley, father of Susannah. There were two additional children in the household, a male >10, and a female < 10. My theory is that the two children who had been born, and had died long before the census was taken, were counted, perhaps for sentimental reasons. These children were Henry (1814-1816) and Melinda (1818-1819). It is also possible, and maybe more likely, that Womack and Susannah had taken in two young children from another family. By 1830, Martha Patsy Fowler had married John Jackson Hodge and had moved out of the family home. Tempa had also gotten married, to James Gibson, and had her own household nearby. Womack and Susannah had added children Susannah, Rhoda, Rufus Marion, Maryan Catherine, and Felix Parham to their growing family. Sadly, Rhoda and Maryan Catherine did not survive long enough to be counted in the next census. The 1830 census recorded Womack age 40-49, Susannah age 30-39, William male 20-29, Marinda Lucinda female 10-14, Susannah female 10-14, Rufus Marion male 5-9, and Felix Parham male < 5. Again, there was a child in the home, a male 15-19, that does not seem to belong in the immediate family. He could have been the unidentified male < 5 from the 1820 census. I will have to look more into this for an answer. Martha married John Jackson Hodge (1802-1882), an immigrant from Ireland, and they had 11 children. One son died young and I could not find a name for him. 1. Jane Hodge 1826-after 1870 Jane was married to Ellis Fowler (1803-before 1860), the son of Mark and Elizabeth Moseley Fowler. This is the mystery Jane who was in the 1850 census with Ellis Fowler and their two children Martha Fowler and Mark Fowler (Mark no doubt was named after Ellis’ father Mark) Yes, Ellis was her first cousin once removed as well as her first husband. After the probable death or possible desertion of Jane’s husband Ellis, Jane married Simeon “Sim” Fowler. She had her two older children by Ellis Fowler, then a second batch of children with her second husband Simeon Fowler. Simeon Fowler was the son of William Fowler and Rhoda Moseley. I have recently found a document proving that this William Fowler was NOT the son of Godfrey Fowler and Nannie Kelly. (which is what I did believe prior to finding this document) I do not have solid proof of the father of this William married to Rhoda, but I have circumstantial evidence that he may have been the son of John the elder Fowler and wife Fanny. Jane was in the 1870 census with husband Simeon Fowler and some of their children. Jane died after 1870, and left Simeon a widower in the 1880 census. Back for a moment to Martha and Mark, the children of Jane and Ellis………..
Martha Fowler married Felix Lee Quinn Sr 1852–1933 and had 4 sons and one daughter with him before Martha died in 1882 in Spartanburg County, SC. Felix married another woman after the death of Martha and had at least one more child. I did not trace his second family very far. 3. He is in the 1870 census with his stepfather’s brother Samuel Fowler and his stepfather’s mother Rhoda Fowler (widow of William Fowler who is NOT the son of Godfrey). The image is a bad copy, hence the transcription. The Felix Quinn family lived beside the household of Mary Fowler (daughter of Reuben Fowler). The next household of Mark Fowler was actually that of Mark Bryant and his wife Francis Fowler, daughter of Martha Fowler, daughter of Reuben Fowler. 2. Henry S. Hodge 1828–1885 married E. Caroline Reeves (1831-1895), daughter of Zachariah Reeves and Cynthia Hodge. Henry and Caroline had 4 sons and 3 daughters. 3. Caroline Hodge 1830–1912 Caroline married James Fowler, son of William Fowler (not the son of Godfrey) and Rhoda Moseley. Tempa married James Gibson. They had 5 daughters and one son. One of the daughters married and moved to Tenn., died rather young, and missed out on the inheritance of Womack’s estate because the family did not know how to contact her children. William married Martha LNU. They had no children. I recently discovered William Fowler’s will in the SC State Archives, and he left his estate to his widow Martha and his illegitimate son, Morgan Reeves. Probably named after Henry Ellis Fowler, his grandfather. I would not have known that this child existed if not for the Bible. The Bible is probably the only recorded document proving the life of young Henry. Married well, John D. Long, very prominent family of attorneys and senators. Another child unknown to me until the Bible record of her birth and death. Susannah never married, but may have had daughters Jane and Harriet out of wedlock; these young girls were in the household with Susannah and her mother Susannah Moseley Fowler in 1850 and 1860. I am still working on who these girls belonged to. In Womack’s final estate settlement, it was mentioned that Susannah had no lawful heirs. Womack mentioned in his will that daughter Susannah could live with her mother Susannah Moseley Fowler, and it appears that she did until her death in 1866. Another child who died young, not in any census records, or any other records that I can find. The Bible may be the only record of her life. Rufus married his first cousin Dorothy “Dorcus” Moseley. Dorcus was the daughter of James Moseley, Jr. and Rufus was the son of Susannah Moseley. James Moseley and Susannah Moseley were the children of James “High Key” Moseley. Rufus and Dorcas had two sons before he died in the Civil War. Dorcas had a daughter named Monetta but I am not sure if Rufus was the father. Maybe not. Dorcas was given food rations one time after the Civil War by the Freedmen’s Office, but she was not allowed to return because “she was able to work.” Also, as per the court case document, she was specifically not given a share of Womack’s estate. No date of death but she must have died young. She is not listed in the 1830 census record and she was not mentioned in the will or estate settlement of Womack. Rufus (named after Felix’s brother?). As per the court case document, Edy was also specifically not given a share of Womack’s estate. I have a copy of the Freedmen’s Office Register of Rations. Edy was given food one time and told not to come back. Very cruel. She had three children to feed. Edy’s father had died before 1870, and her mother was elderly and perhaps not able to help her. Edy died not very long after the war’s end. A note of interest (to me)……My great grandmother was Delilah Josephine Foster. Edy’s son Rufus married her sister, Alice Foster. The Civil War took a big toll on Womack’s sons. All of his sons who lived to adulthood fought in the war, and all but William died during the war. James married Mary Cansada James, daughter of David James, son of Shadrack James. James Fowler and Cansada had two sons and a daughter, but I think only one son, Harrison David Fowler, lived long enough to have children. Daughter Sarah Carter Fowler married twice, to Coleman F. Kendrick and Russell Aubrey Lee. Sarah had sons by both husbands. No census records and not mentioned in the will or estate settlement. Youngest child and last son of Womack and Susannah. He married a Jane LNU and had two children with her before he was killed in the war. After his death, Jane married James Morgan Floyd and had at least 6 more children. F.W. Eison et al. vs. Harrison Fowler et al. The plaintiffs above named complaining of the defendants allege. 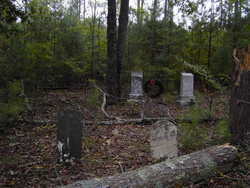 That the said Wymac Fowler and Tempe Fowler (who afterwards married _______ Gibson) have by deed duly executed conveyed their interest in said lands to the said James H. Fowler who has since died intestate leaving his widow the plaintiff Cansada Fowler and two infant children the defendants Harrison Fowler and Sallie Fowler his only heirs at law surviving. That the plaintiffs own no other land in this state in common with said defendants. Wymac Fowler Sr. died leaving surviving him the following children as his heirs: Viz. Martha Hodge, Tempe Gibson, Lucinda Long, Susannah Fowler and William, Rufus, Felix, James & Womac Fowler. Wm Fowler died in Fall 1872, leaving widow Martha Fowler but no children. Rufus M. Fowler, having previously sold his interest in this estate of F.W. Eison, died in 1863 Leaving widow Dorcas and children Joseph E. & Eison A. Fowler, surviving him. Lucinda Long died 20th July 1870 Leaving Husband J.D. Long and eight children surviving her as her heirs, Viz. Mary, Susan, Martha, John F., J.G. C.C., G.F. & Walker Long. James Foweler died 7-30-`1864, Leaving widow Kassinda and two children, Harriosn & Sallie, surviving him as heir heirs, both minors. Tempe Gibson died 1863 having sold her interest o James H. Fowler Nov. 10th 1863 and left surviving her as her heirs the following children Viz: Elizabeth (since deceased without heirs) Lucinda Gibson (wife of J.D. Long) Starks, Hulda, Adeline (now Mosely) and Cinda (who married Burgess and died before the war, leaving children surviving her, ages, names & residence unknown). Susan Fowler died in 1866 without heirs. Wymac Fowler, having previously sold his interest to James W. Fowler, died in 1862, leaving surviving him as his heirs the following children viz – Lula (since dead)(without heirs) and James M. Fowler Felix Fowler died in 1864, leaving surviving him, Edith, his widow (since deceased) and three children viz Rhoda, Wm & Ruth Rufus Fowler Felix Fowler in Dec. 6th 1863 sold his interest to F.W. Eison – Martha Hodge died in Jan. 1871, leaving as her heirs her husband Jacob Hodge & following children viz – Henry, Gazaway, Frank, Wright, Leland and Calvin Hodge and Minerva Adis, Catherine Hays, Caroline Fowler and Jane Fowler, who has since deceased leaving as her heirs her husband Jim Fowler and three children viz – Martha Quinn, Susan Millwood and E.J., Mark, Sam, Frank and Elvira Fowler Mess. Steadman and Rawls atts for plfs. in original petition admit the truth of the foregoing facts and that the heirs of Rufus, Wymac and Felix Fowler and Tempa Gibson have an interest in the property of Susannah and William Fowler (in the estate) River and McKissick and Johnson Jr. attys. for heirs just mentioned.